The game allows players to compete in head-to-head bubble shooting matches against AI opponents and other players. Outfit7 Limited has announced the launch of Talking Tom Bubble Shooter, the newest app in its successful Talking Tom and Friends franchise. The bubble shooting game allows players to compete in head-to-head matches against AI opponents or other players. In each match, players shoot colorful bubbles at bubble formations to create matches of three or more matching bubbles, which are removed from the screen. New bubbles will be added to the formation from the top of the screen as gamers play, and each game ends when one player allows their bubble formation to cross the line at the bottom of the screen. Over time, players will receive sticker packs for their sticker album. When players collect the necessary stickers, they’ll unlock additional characters from the Talking Tom and Friends franchise (gamers can select one to be their companion in future stages), as well as power-ups for use in future matches. Gamers also earn coins as they complete matches, and can spend these coins to activate their equipped power-up while playing. In addition to the game’s campaign mode, users can compete against their Facebook friends, as well as random opponents, in multiplayer matches. Users earn points as they win matches, and can receive prizes at the end of each weekly tournament, based on their final standing on the game’s leaderboard. Users spend energy to play multiplayer matches. This energy recharges automatically over time, or can be purchased with premium currency. Gamers can also earn free energy by connecting to their Facebook account, or by watching videos. In addition, players can spend premium currency on extra sticker packs. As players collect duplicate stickers, these duplicates are automatically listed for sale so other players can purchase them using coins. Gamers can browse stickers from a limited number of players at one time. This list refreshes automatically over time, or players can spend premium currency to instantly refresh the list. We believe Talking Tom Bubble Shooter will quickly soar to become the new favorite Talking Tom game with fans around the globe. Highly addictive and entertaining, we’re confident the app will meet the expectations of current Talking Tom fans, while appealing to a new audience that will embrace the fun, competitive elements of the gameplay. 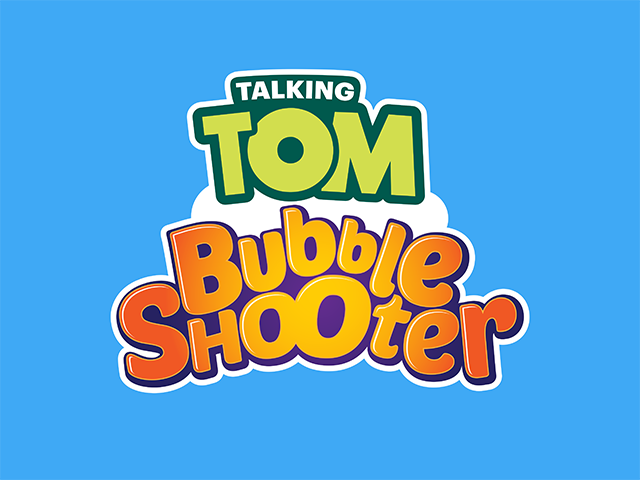 Talking Tom Bubble Shooter is now available to download for free on the iTunes App Store, Google Play, the Windows Store and the Amazon Appstore.